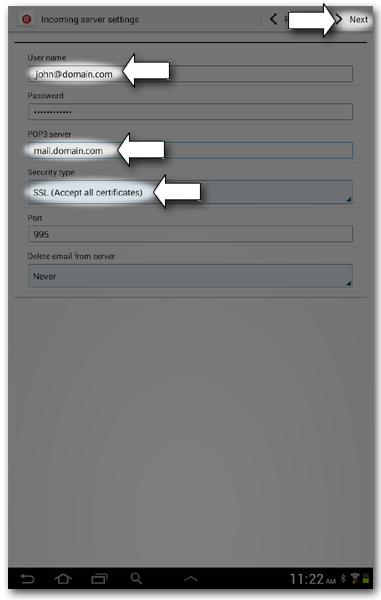 This article will show you how to properly configure your email client to your 3dcart mail server using secure port requirements on Android Powered Tablets. Android powered tablets have slightly different navigation elements depending on the model of the device, service provider used (if applicable), O/S version and other factors. In many cases, accessing the mail settings will be done either through the tablet's settings screens or (more often) by accessing the tablet's built-in email program. 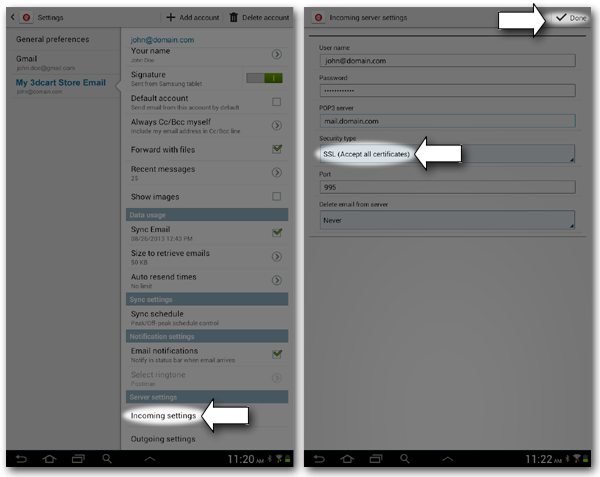 This tutorial will illustrate accessing the email settings via the tablet's default email client. 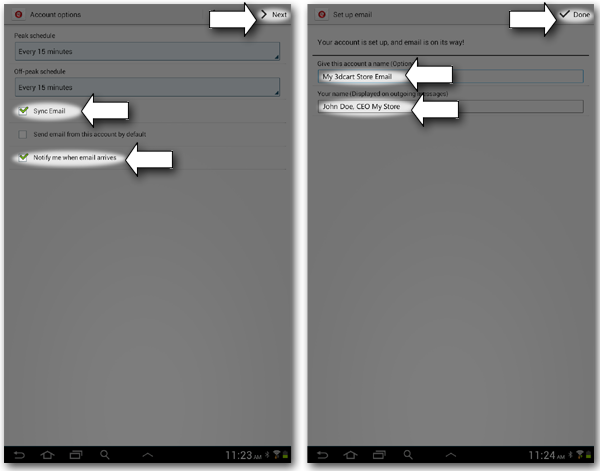 If you currently have your 3dcart email account set up in your Android Tablet, we recommend following the steps outlined in Editing an Existing Email Account Profile. 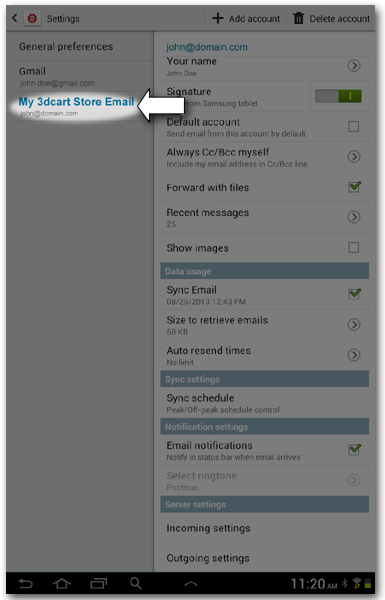 If you have separate email account(s) already created on this tablet, then you will see the main email account's mailbox. 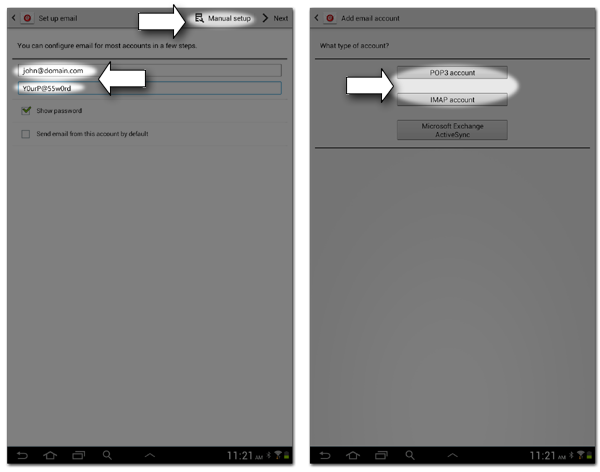 To access the following screens, click your tablet email's "menu" button and go into settings for the email program. This will begin the wizard setup process. Change your User name to be the full email address. 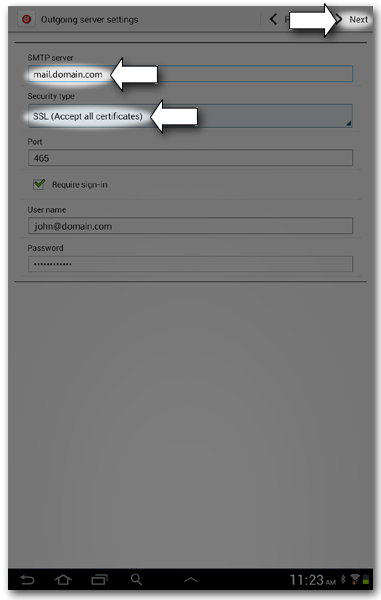 Then select Security type as "SSL (Accept all certificates)"
Also, for incoming and outgoing mail servers, you will specify mail. [your-domain].com for both servers. You may receive a warning about the server's security. This is due to the entered domain not having its own SSL certificate and the warning is just advising that the security certificate for mail. [your-domain].com could not be found. However, since you are on a shared mailserver, the SSL certificate is in fact present; it's just installed on 3dcart's mailserver name. 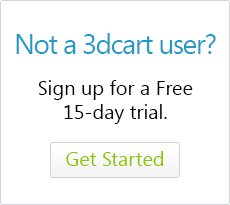 Your Android powered tablet is now set up and ready to receive/send your 3dcart email. 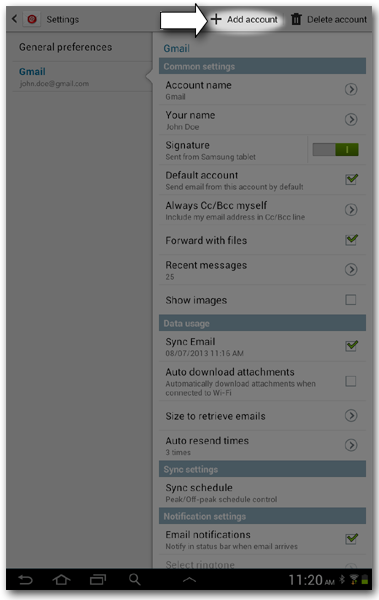 This will take you to the specific email account's settings. Select Security type as "SSL Accept all certificates)"